Raúl Martínez studied at the San Alejandro School of Fine Arts. He was a founding member of the Sociedad Nuestro Tiempo (Our Times Society). In 1952, he won a fellowship from the Chicago Institute of Design. After he returned to Cuba he became a member of the group Los Once, in late 1953, and participated in many of their exhibitions. In 1960 he was appointed artistic director of the magazine Lunes de Revolución (Monday of Revolution), and designed his first book cover for the publisher Ediciones R. He taught design at the School of Architecture at the University of Havana. In 1964, he presented the exhibition Homenajes (Tributes) in which he began to depart from abstraction, instead creating Pop art inspired work and collage. Two years later, along with Luc Chessex and Mario Garcia Joya, he participated in the exhibition ¿Foto-Mentira! (Photo-Lies?!) at Galeria Habana, where he presented his multiple images of José Martí. He participated in the Havana edition of the Paris Salon de Mai in 1967 and in 1970 exhibited his oil painting Isla 70 (Island 70) at Salon’70. 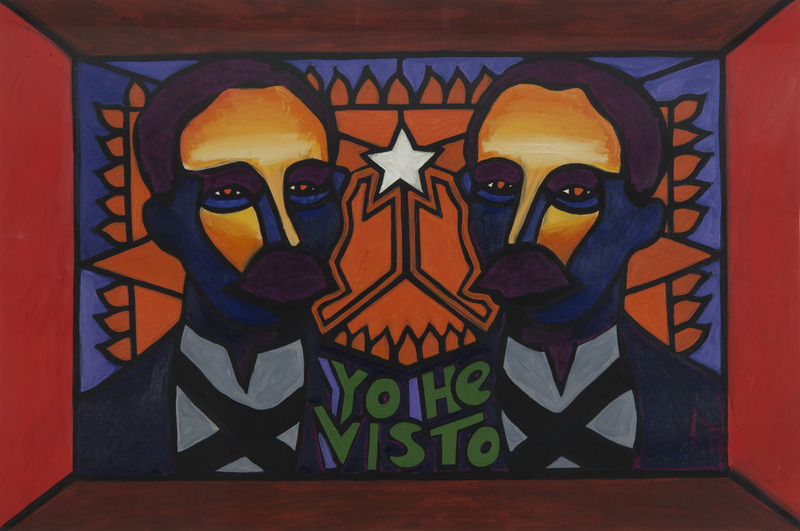 In his 1978 solo exhibition La gran familia (The Great Family) he offered a view of society as a whole from the perspective the everyday family. Other important solo shows include his participation in the 41st Venice Biennial in 1984, as well as the first and largest retrospective of his work, Nosotros (We), at the National Museum of Fine Arts in Havana in 1988. In 1995, he received the National Visual Art Award granted by the Cuban Ministry Of Culture for his lifetime achievements. Sin título (José) [Untitled (José)], 1966. Ink on cardstock. 28 x 22 in. Yo he visto (I Have Seen), n.d. Acrylic and ink on cardboard. 21 x 31 1/2 in. Sin título, de la serie iOh América! (Untitled, from the series Oh America! ), 1992. Acrylic, pastel, acetate, colored cellophane and cut-and-pasted printed paper on cardboard. 27 x 39 in. El vaquero (Cowboy), ca. 1969. Black and white photograph, hand-painted with acrylic. 14 x 9 1/2 in.